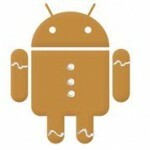 T-Mobile G2x Official Gingerbread is out! The official LG Gingerbread update is finally out for the LG/T-Mobile G2x! You will need to grab the LG Mobile Software updater. Please note that this will break any root access you already have. So in typical DroidHype fashion, here is a link to grab a ClockworkMod flashable pre-rooted zip of the new 2.3.3 update. Good job LG and T-Mobile for finally pushing this out! *Update* – this appears to be LG’s release and not an official T-Mobile release. Once T-Mobile finalizes their testing, this will get signed and the over-the-air (OTA) will be sent out. Either way, this is good in LG’s eyes which means it should be good for most! *Update* – LG’s release is indeed the same as the T-Mobile release. Flash away folks! Plastic removal fixes signal on the T-mobile G2x?